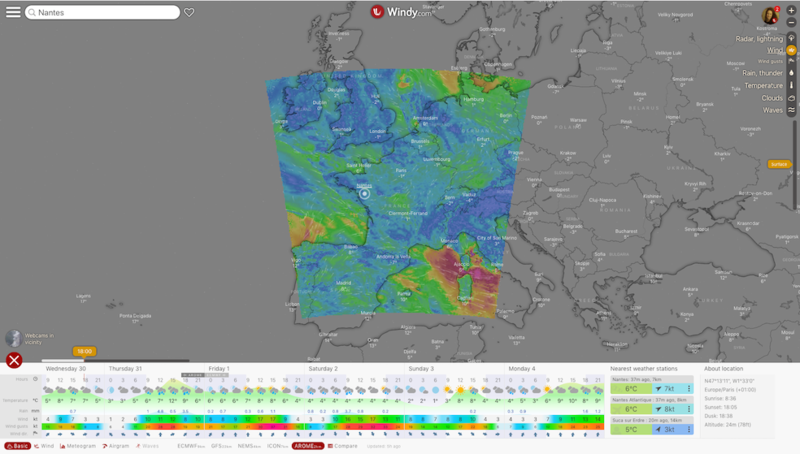 Windy Version 18.00 with New "Observation vs. Forecast" Feature, AROME Model, and More! With the new year 2019, a new Windy version is here, and has lots to offer! Want to figure out which forecast model is the best for a given location? 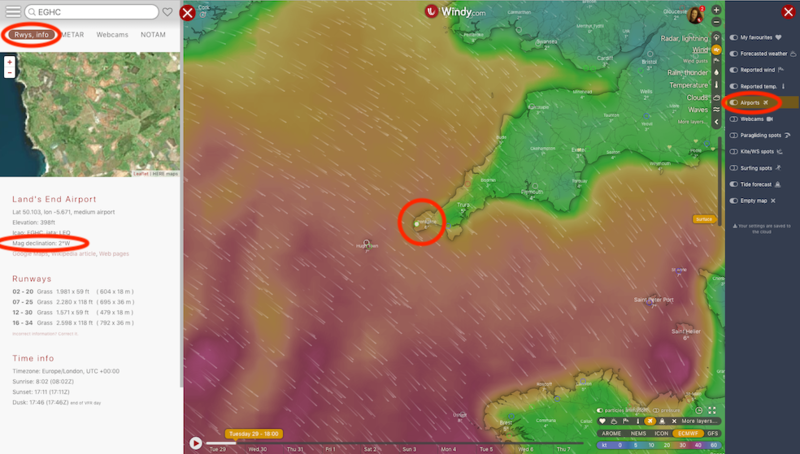 Not a problem anymore with our new feature: Observation vs. forecast! Easy to use map overlays with a graph displaying observed data from 30.000+ weather stations that we monitor, compared with forecast from all the models that we visualize: ECMWF, GFS, NEMS, ICON-EU, AROME, NAM. Where do you find it? Just open your favourite weather station and there you are! We believe that this new feature will help you make your weather-related decisions even better than before. Enjoy and let us know how you like this new feature! ... as you have voted here. AROME has a high resolution of 1.25km and 2.5km. It covers mainly France. Forecasts are up to 44 hours (approx. 2 days). This model has been developed by Météo France and is freely accessible. AROME will be appreciated by those who spend a lot of time in Alps! Magnetic declination, or magnetic variation, is the angle on the horizontal plane between magnetic north (the direction the north end of a magnetized compass needle points, corresponding to the direction of the Earth's magnetic field lines) and true north (the direction along a meridian towards the geographic North Pole). This angle varies depending on position on the Earth's surface and changes over time. Source: Wikipedia. ... and many other fixes and infrastructure improvements!